Modern compact crossovers have grabbed such a huge share of the vehicle market thanks to their plethora of passenger luxuries and ample storage space that's as flexible as it is large. While these features were inherited from their SUV predecessors, most of them have abandoned their ancestor's off-road talents. One exception to this trend is the 2019 Subaru Crosstrek. Just a casual glance at the 8.7 inches of space beneath its frame provides the observer with a hint that this crossover isn't totally domesticated. Still, as this article shows, it can definitely provide passengers plenty of on-road enjoyment as well. The 2019 Subaru Crosstrek comes in an introductory 2.0i model along with a 2.0i Premium and 2.0i Limited version. 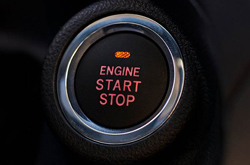 The 2.0i makes the journey pleasurable by offering a front USB connection, a 4-speaker stereo system, and a 6.5-inch touchscreen with access to Apple CarPlay, Android Auto, and Bluetooth compatibility. Opting for the 2.0i Premium gives customers heated front seats, satellite radio, an extra pair of USB plug-ins for back passengers, a moonroof overhead, and a 6-speaker music system. Finally, the 2.0i Limited model means leather seating, eight Harmon Kardon speakers, an 8-inch control panel, and dual-zone climate control. The 2019 Subaru Crosstrek relies on the Subaru Boxer engine to put things in motion. This engine design is unique with each pair of pistons facing directly opposite one another. In this configuration, the engine has a flat profile that allows it to sit lower in the engine compartment for reduced vehicle sway during tight cornering. At the same time, opposing pistons mean less vibration from the engine while providing more efficient linkage to the transmission. The 2-liter 4-cylinder Boxer found in all versions of the 2019 Crosstrek spawns 152 horsepower and 145 lb-ft of torque. Hitched to a continuously variable transmission or CVT equipped with paddle shifters for greater driver control, it gets 27 mpg city and 33 mpg highway. 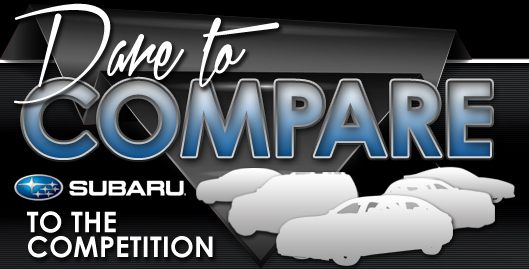 Choosing the alternative 6-speed manual transmission results in 23 mpg city and 29 mpg highway. Completing the 2019 Crosstrek drivetrain is a symmetrical all-wheel drive system standard on all three Crosstrek models. As a quick reminder, the Subaru Crosstrek is a crossover rather than an SUV due to the use of unibody construction at its core. This technique, typically employed in designing cars as opposed to trucks, incorporates crumple zones that provide an exceptional layer of built-in safety. In last year's Crosstrek, this design feature contributed to a Top Safety Pick award from the IIHS while the NHTSA bestowed on it the top 5-star overall designation. The 2019 Crosstrek has yet to be tested, but with a body that's little changed from 2018, it should score at least as well as its predecessor. 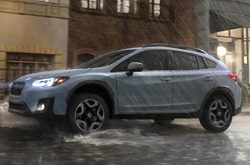 Along with a solid frame, the 2019 Subaru Crosstrek has antilock brakes, traction and stability control, airbags, and a rearview camera. 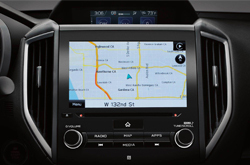 The rearview camera includes a guidance grid that makes direction and distance calculations a snap. Subaru even adds artificial intelligence to the mix with standard and optional additions for the higher level trims like front impact detection with automatic braking, lane departure and holding capability, blind spot monitoring, and rear cross-traffic monitoring. There's even reverse automatic braking for avoiding collisions when backing up that's standard on the Crosstrek 2.0i Limited. Does the 2019 Crosstrek Hybrid Have Subaru Starlink Multimedia?